ALBUQUERQUE, N.M. -- A helicopter pilot had a low concentration of fentanyl in his blood during a crash in New Mexico that killed him and four other people including Zimbabwean opposition leader Roy Bennett, according to autopsy results obtained on Friday. Fentanyl, a powerful synthetic opioid and pain medication, was found in the autopsy report for Jamie Coleman Dodd, the lead pilot in the January crash in northeastern New Mexico. The report didn't say whether Dodd may have been taking fentanyl for health reasons. Prior reports have not indicated that drugs were a cause of the crash. 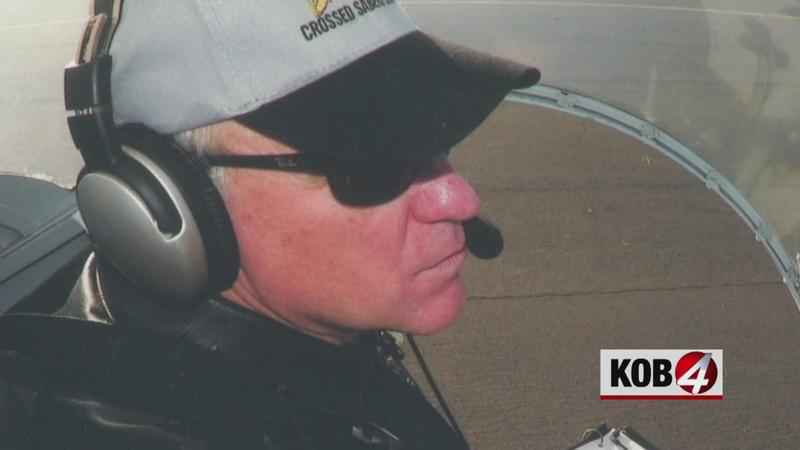 Autopsies also were performed on co-pilot Paul Cobb and wealthy businessman Charles Burnett III — also killed in the crash on a grassy mesa top east of Raton. All three men died of blunt force trauma. Burns also were a cause of death for Burnett. Bennett's wife, Heather, also died in the crash. Cobb had no drugs in his system, while Burnett had alcohol, amphetamine and oxycodone present in his, medical examiners determined. The sole survivor of the crash, Andra Cobb, of Texas, later recounted her experience, saying the aircraft hit the ground with a loud bang before rolling forward, stopping upside down and bursting into flames. A report by the National Transportation Safety Board confirmed that the weather was clear the night of the crash, and that Dodd had thousands of hours of flying experience. The pilot was able to call 911 but later died at a hospital. 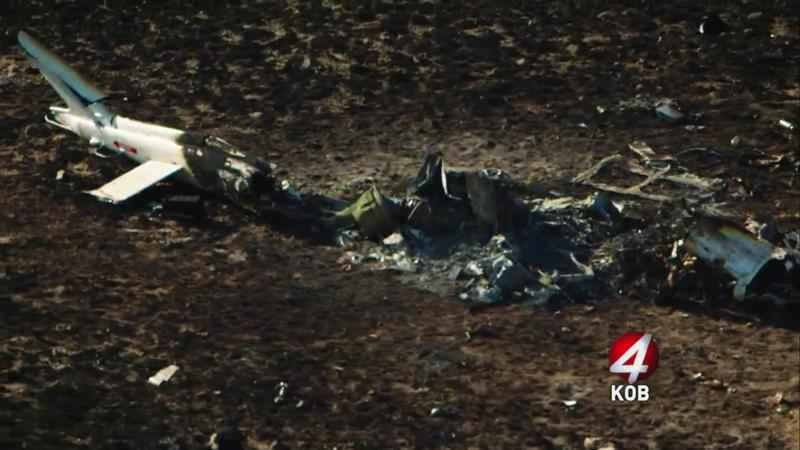 ALBUQUERQUE, N.M. – An autopsy shows the pilot in a New Mexico helicopter crash that killed five had a synthetic opioid in his system. The chopper went down in January on a mesa east of Raton. Only one person onboard survived. The autopsy on Jamie Dodd revealed low levels of the powerful pain medication fentanyl in his blood, but prior reports have not indicated drugs were a cause of the crash. Among the other victims were copilot Paul Cobb, Zimbabwean politician Roy Bennett and his wife, and wealthy businessman Charles Burnett. A report by the National Transportation Safety Board confirmed the weather was clear the night of the crash. On January 17, 2018, about 1800 mountain standard time, N658H, registered as a Bell UH-1H helicopter, impacted terrain near Raton, New Mexico. A ground fire and explosion subsequently occurred. The commercial pilot, pilot rated passenger, and three other passengers were fatally injured. One passenger sustained serious injuries. The helicopter was destroyed during the impact and ground fire. The helicopter was registered to and operated by Sapphire Aviation LLC as a 14 Code of Federal Regulations Part 91 personal flight. Night visual meteorological conditions prevailed in the area about the time of the accident, and the flight was not operated on a flight plan. The flight originated from the Raton Municipal Airport/Crews Field (RTN), near Raton, New Mexico about 1750 and was destined for Folsom, New Mexico. According to a statement taken by Federal Aviation Administration (FAA) Inspectors, the passenger said that the purpose of the helicopter flight was to take the group to a personal function in Folsom, New Mexico. The passenger indicated that they were in level flight and recalled a big bang as the helicopter hit the ground. After ground contact, the helicopter rolled forward coming to a stop upside down. The passenger was hanging from the seat belt, the door was not present, and jet fuel was pouring on her. The seat belt was released by the passenger who subsequently evacuated the helicopter. The helicopter was on fire and subsequent explosions followed. The passenger called 9-1-1 and waited for emergency responders. The pilot held an FAA commercial pilot certificate with airplane single engine land, rotorcraft helicopter, and instrument helicopter ratings. He held an FAA second-class medical certificate issued on December 7, 2017. This pilot reported on the application for his medical certificate that he had accumulated 6,416 hours of total flight time and 44 hours in the six months before the examination. 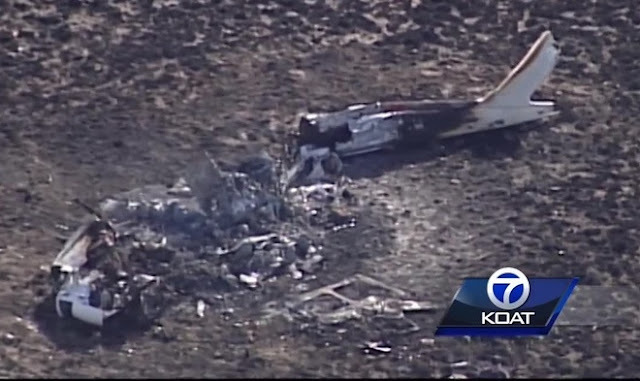 The pilot rated passenger held an FAA commercial pilot certificate with a rotorcraft helicopter rating. He held an FAA second-class medical certificate issued on December 11, 2017. This pilot reported on the application for his medical certificate that he had accumulated 3,140 hours of total flight time and 30 hours in the six months before the examination. N658H, was registered as a Bell UH-1H, helicopter with serial no. 67-17658. However, the current type certificate holder for that serial number is Rotorcraft Development Corporation. The accident helicopter was a single-engine helicopter powered by a Honeywell (formerly Lycoming) T53-L-703 turbo shaft engine with serial number LE-10462Z, which drove a two-bladed main rotor system and a two-bladed tail rotor. T53 engines are a two-spool engine. The gas generator spool consists of a five-stage axial compressor followed by a single-stage centrifugal compressor, and a two-stage high pressure turbine. The power turbine spool consists of two stages. The engine has a maximum continuous rating of 1,300 shaft horsepower at an output shaft speed of 6,634 rpm. At 1753, the recorded weather at RTN was: Wind 030° at 10 kts; visibility 10 statute miles; sky condition clear; temperature 1° C; dew point -18° C; altimeter 30.26 inches of mercury. According to U.S. Naval Observatory Sun and Moon Data, the end of local civil twilight was 1735 and local moonset was at 1754. The observatory characterized the phase of the moon as "waxing crescent with 0% of the moon's visible disk illuminated." 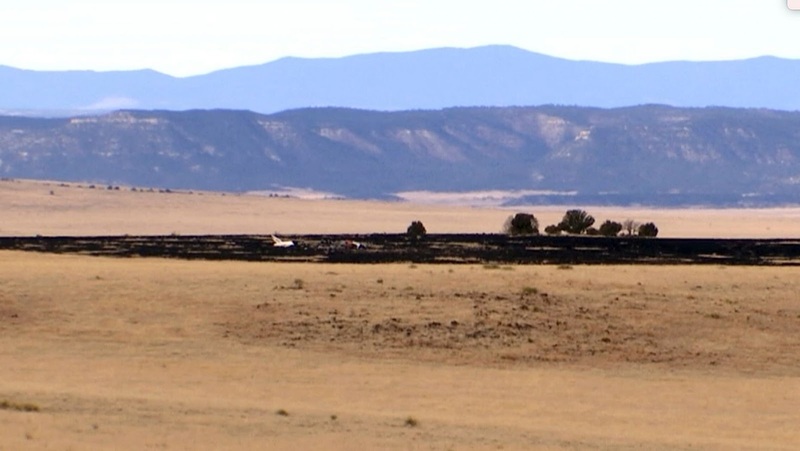 The main wreckage (fuselage) came to rest on a flat mesa at the top of rising terrain about 10.7 nautical miles and 102° from RTN, on a heading about 15° magnetic. The area around the main wreckage was discolored and charred, consistent with a postaccident ground fire. The elevation in the area of the main wreckage was about 6,932 ft above mean sea level (msl). The initial observed point of terrain contact was a parallel pair of ground scars, consistent with the width of skids, which led directly to the main wreckage on a 074° magnetic bearing. The elevation of this point was about 6,933 ft msl. The distance from the start of the parallel ground scars to the wreckage was about 474 ft. Proceeding from the end of the 330-ft parallel ground scars, 18 ft further down range, was a 25 ft long blade slap ground scar perpendicular to the path of travel, followed by the entire main rotor about 60 ft further down range. The tail rotor and tail rotor gear box were resting nearby. The helicopter's main wreckage was located 66 ft further down range, upside down, with the entire cabin section between the cockpit and tail boom having been destroyed by fire. Examination of the wreckage revealed that sections of the helicopter exhibited damage consistent with overload, deformation, thermal damage, and consumption by fire. The engine compressor cases, accessory gearbox housing, and inlet housing were consumed by fire. The output reduction carrier and gear assembly, which attaches to the inlet housing, was intact and recovered as a loose component. Gears within the accessory gearbox were recovered as loose components. There were no penetrations of the combustor plenum. The exhaust tail pipe was disassembled from the engine while on scene to gain access and photo document the second-stage of the power turbine. There were metal spray deposits on the suction side of the second-stage power turbine stator vanes. There was no damage to leading edge of either the second-stage power turbine stator vanes or the second-stage power turbine rotor blades. Autopsies on the pilot and pilot rated passenger were requested. A cellphone and an I-pad were retained and shipped to the National Transportation Safety Board Recorder Laboratory to see if they contain data pertinent to the accident. RATON, N.M. -- Andra Cobb was frantic when she called for help, telling an emergency operator that a helicopter she was riding in with her father, longtime partner and others had crashed in a remote part of New Mexico and that she was watching her "family burn." Police released 911 recordings Friday from the crash near the Colorado-New Mexico line that killed five people, including Zimbabwean opposition leader Roy Bennett, and his wife, Heather. Cobb, 39, was the sole survivor, escaping with broken bones before the helicopter burst into flames. Her father, Paul Cobb, the co-pilot, and her longtime partner, Charles Burnett III, a Texas-based investor who owned the ranch where the group of friends was headed, also were killed in the crash Wednesday, along with pilot Jamie Coleman Dodd. "I'm watching my family burn in a fire," Andra Cobb screamed on the call. "I don't know what to do. There's a big fire. I'm covered in gasoline." Dodd also was able to call 911 before he died, telling authorities immediately after the crash that there were three victims and three survivors -- him, Andra Cobb and Roy Bennett, who was suffering from a head wound as authorities tried to determine their location. Officials launched a search but said the response was slow because of the rugged terrain and lack of access. Andra Cobb remained on the call for about an hour as she waited for authorities to arrive. Bennett's death was met with an outpouring of grief in Zimbabwe. A white man who spoke fluent Shona and drew the wrath of former President Robert Mugabe, Bennett had won a devoted following of black Zimbabweans for passionately advocating political change. BBC News reports Movement for Democratic Change (MDC) party spokesperson Obert Gutu said in a statement that Bennett was a popular grassroots politician as well as a successful commercial farmer. "Roy was a resolute and committed fighter for democratic change in Zimbabwe," Gutu said. Bennett, treasurer-general of the Morgan Tsvangirai's MDC opposition party, previously survived a traumatic year in jail and death threats over his work. He and his wife had traveled to New Mexico to spend their holiday with their friend Burnett, friends and family said. The wealthy businessman was described as a fun-loving person who enjoyed entertaining, at times extravagantly. Burnett's friends Dodd and Cobb were experienced aviators who would not have taken unnecessary risks in the helicopter, according to the investor's personal lawyer, Martyn Hill. Hill and Cobb's wife, Martha, said the co-pilot had survived being shot down while flying a helicopter in the Vietnam War. The cause of the crash remains under investigation. Despite frigid temperatures, there was no indication of bad weather that night. Engulfed in flames, the wreckage of the helicopter registered to an aviation company linked to Burnett was eventually found by authorities, who said it had sparked a grass fire. Dodd, the pilot, said on his call that he had a broken pelvis and was trying to move away from the blaze. Andra Cobb said the helicopter had been in the air for just three to five minutes after taking off from the airport in the small community of Raton. In the call, she can be heard weeping and telling Bennett to breathe. "I'm very, very cold," she tells the 911 operator. A New Mexico sheriff says residents from nearby ranches were among the first to arrive at a fiery helicopter crash that killed five people, including Zimbabwe opposition leader Roy Bennett and his wife, Heather. Colfax County Sheriff Rick Sinclair said Friday that he had joined a game warden and paramedics in searching the rugged terrain for the wreckage after a survivor called 911. New Mexico State Police also responded. Sinclair says that when the crews found the crash site, residents were already working to extinguish the flames. The Bennetts' friends and family say they had traveled to New Mexico to spend their holiday with friend and wealthy businessman Charles Burnett III, who also died Wednesday. A spokesman for the National Transportation Safety Board says investigators are reviewing aircraft maintenance records and flying conditions as they examine the charred wreckage of a helicopter that crashed in a remote area of New Mexico. Investigators pushed forward Friday in searching for clues after the helicopter carrying a group of prominent friends went down two days earlier east of Raton. Authorities confirmed that Zimbabwe opposition leader Roy Bennett and his wife, Heather, were among the victims, as well as wealthy businessman Charles Burnett III. NTSB spokesman Eric Weiss says the agency won't release a probable cause for the crash until completing the investigation — something that has been known to take many months. He says all parts of the rotorcraft were recovered from the site. A 911 recording indicates Zimbabwe opposition leader Roy Bennett was injured but still alive as authorities tried to determine the location of a fiery New Mexico helicopter crash that ultimately killed him, his wife, Heather, and three others. Raton police released 911 recordings Friday from the crash two days earlier in remote northern New Mexico. Andra Cobb, the 911 caller and the crash's sole survivor, was frantic as she spoke to a dispatcher, saying that she was watching her "family burn." She also said Bennett was alive but suffering from a head wound. Her father, Paul Cobb, was the co-pilot. Her partner, Charles Burnett III, owned the ranch where the group was headed for vacation. Both were killed Wednesday. Authorities say pilot Jamie Coleman Dodd also called 911, but later died. Friends and family members confirmed Thursday that Zimbabwe opposition leader Roy Bennett and his wife, Heather, had traveled to New Mexico to spend their holiday with friend and wealthy businessman Charles Burnett III at his ranch. Despite frigid temperatures that evening, the weather appeared to be clear and the wind was mild as they headed east over a rugged area toward Burnett's ranch. The only survivor was Andra Cobb, the co-pilot's daughter and Burnett's long-term partner. She was able to escape before the helicopter burst into flames. RATON, N.M. -- A leader of an opposition party in Zimbabwe and four other people died in a helicopter crash near the New Mexico-Colorado border, according to federal and state agencies. 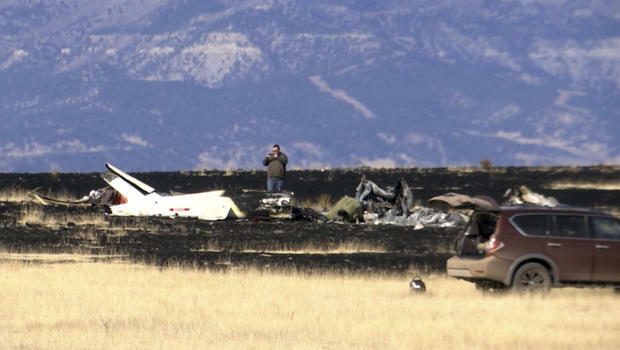 New Mexico State Police Lt. Elizabeth Armijo said Thursday that the pilot, 57-year-old Jamie Coleman Dodd, of Trinidad, Colorado; the co-pilot, 67-year-old Paul Cobb, of Conroe, Texas; 61-year-old Charles Ryland Burnett, of Houston; and Bennett's wife, 55-year-old Heather Bennett; also died in the crash. The group was heading to Emery Gap Ranch, a property that one of Roy Bennett's friends bought last year. One person on board survived the crash but has serious injuries, Armijo said. The Associated Press reports the survivor is Andra Cobb, who is Burnett's girlfriend and Paul Cobb's daughter. One of the victims called a 911 dispatcher in Raton to report the crash but was not sure where the helicopter went down. Several agencies began looking for the wreckage, but Armijo said the terrain made it difficult. "Response was slow due to the area being extremely remote with rugged terrain and limited road access," she said. "Wreckage was spotted in a rancher's property east of Raton. A grass fire had burned the area of approximately a mile radius around the crash site." When officers found the site, Armijo said the helicopter was engulfed in flame. They initially found three deceased people at the site of the crash while two of the men alive in critical condition. One later died at the scene while the other died while being airlifted to a hospital. Armijo said the helicopter left Raton and was bound for Folsom about 37 miles away. So far, investigators do not know what caused the aircraft to crash. Dusty Longwill, the manager at the Raton airport, fueled the helicopter before they took off. "They were all in good spirits," he said. "You know, most people come out here to come play and vacation or go hunting, so everyone's usually good to get out of city life and come out to the country and have a good time." As an MDC-T Party member, Roy Bennett was jailed in 2004 for assaulting a cabinet minister and again in 2009 for campaigning against former Zimbabwe dictator Robert Mugabe. When Bennett was released, he fled to South Africa where he was given political asylum. Nelson Chamisa, a co-vice president for the MDC-T Party, expressed his sadness on Twitter. "I'm devastated as I have just received tragic news about Roy Bennet [sic] and wife's involvement in a helicopter crash," Chamisa tweeted. Opposition leader Tendai Biti also tweeted "what a blow to our struggle." Initially, several international media organizations had erroneously reported the crash occurred in Canada. Chamisa also tweeted the incorrect information. The National Transportation Safety Board is leading the investigation into what caused the crash. ALBUQUERQUE, N.M. (AP) — U.S. records show the helicopter that crashed and killed five people in New Mexico, including a Zimbabwean opposition leader, was registered to a Houston-based company associated with one of the victims. Federal Aviation Administration records show the Huey UH-1 was registered to Sapphire Aviation LLC, which records show was linked to Charles Burnett III, an investor and philanthropist. New Mexico State Police say he died in Wednesday's crash with opposition leader Roy Bennett, Bennett's wife, Heather; pilot Jamie Coleman Dodd of Colorado; and co-pilot Paul Cobb of Texas. Andra Cobb, Paul Cobb's daughter and Burnett's longtime partner, was the sole survivor. Her mother says she has been hospitalized with broken bones. An investigator with the National Transportation Safety Board was expected to arrive at the crash site Thursday. The mother of the lone survivor of a New Mexico helicopter crash that killed five people, including a Zimbabwe opposition leader, says her daughter is distraught. Her voice breaking, Martha Cobb told The Associated Press on Thursday that her 39-year-old daughter, Andra, said she escaped the helicopter and passed at least one body on the ground before it burst into flames. The co-pilot was Andra Cobb's father, Paul, and her longtime partner, Charles Burnett III, a wealthy Houston-based businessman, also died Wednesday. Andra Cobb was hospitalized with broken bones. Martha Cobb says she and her husband befriended Zimbabwe opposition leader Roy Bennett and his wife while traveling on cruises. Friends say the group was heading to the Emery Gap Ranch, a sprawling, mountainous property that Burnett purchased in 2017. Friends say Zimbabwe opposition leader Roy Bennett and his wife, Heather, were in New Mexico on holiday when they and three others were killed in a helicopter crash. They were visiting friend Charles Burnett III, a wealthy Houston-based businessman who also was killed in Wednesday's crash in a remote area near the Colorado state line. Also killed were pilots Jamie Coleman Dodd of Colorado and Paul Cobb of Texas. They too were friends with Burnett. Burnett's lawyer, Martyn Hill, said the sole survivor, Andra Cobb, was in a long-term relationship with Burnett and was Paul's daughter. The group was heading to the Emery Gap Ranch, a sprawling, mountainous property that was purchased by Burnett in 2017. Hill says both pilots were experienced aviators who would not have taken unnecessary risks in the helicopter. Hill said Paul Cobb served in Vietnam and survived being shot down. Authorities in the U.S. state of New Mexico say a victim injured in a helicopter crash that killed five others, including a Zimbabwe opposition leader, called for help. State Police Lt. Elizabeth Armijo confirmed opposition leader Roy Bennett's death Thursday, a day after a helicopter carrying him and five others went down in a remote area. A spokesman for Morgan Tsvangirai's Movement for Democratic Change party says Bennett's wife also died. Police say others killed were pilot Jamie Coleman Dodd, of Trinidad, Colorado; co-pilot Paul Cobb, of Conroe, Texas; and Charles Ryland Burnett, of Houston. Cobb's wife, Martha Cobb, tells The Associated Press that her 39-year-old daughter, Andra, was hospitalized with several broken bones. Cobb says her daughter described escaping the helicopter before it burst into flames. Authorities in the U.S. state of New Mexico say key Zimbabwean opposition leader Roy Bennett has been killed in a helicopter crash. Obert Gutu, spokesman for the MDC-T opposition party, said the loss of Bennett, a white man who spoke fluent Shona and drew the wrath of former President Robert Mugabe, was tragic. Gutu says Bennett's wife, Heather, also died. The crash killed five and injured a sixth person aboard. The helicopter went down about 6 p.m. Wednesday near the Colorado state line. Armijo said no additional information was immediately available about the circumstances of the crash.